I accidentally found an American photographer/artist who captures and creates art in a context and conceptual framework that I unknowingly performed but never would have been able to identify myself as a “spy in the house of art” or as part of a gendered institutional critique. 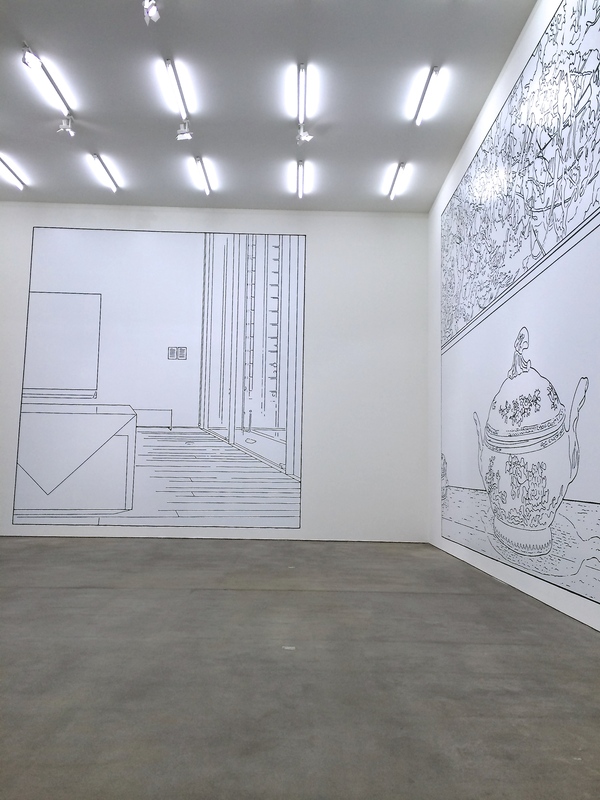 When I first walked into Sprüth Magers, I felt awed by the scale of Lawler’s photograph turned trace drawings (in collaboration with Jon Buller), filling the length of the gallery walls. 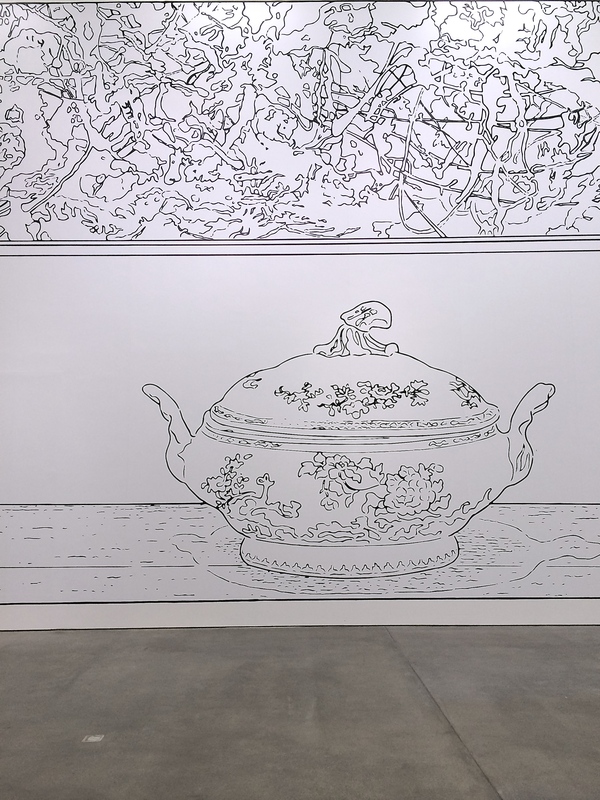 It bought to mind and felt like site-specific large scale installations, the overwhelming power of an artwork’s acknowledgment of its own space and presence. What made Lawler’s work even more impressive was that I had never experienced drawing or photograph as drawing in such a manner. 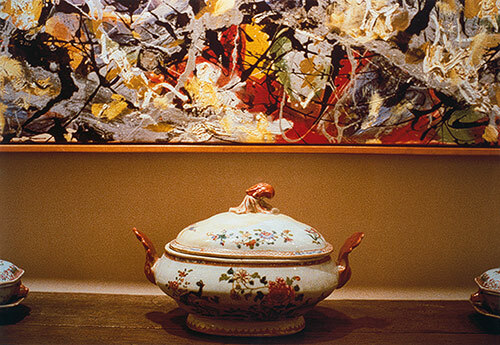 From 1984 to 2013, Lawler had redefined Pollock and Tureen from a photograph to sculptural dimensions through a change in scale and medium. 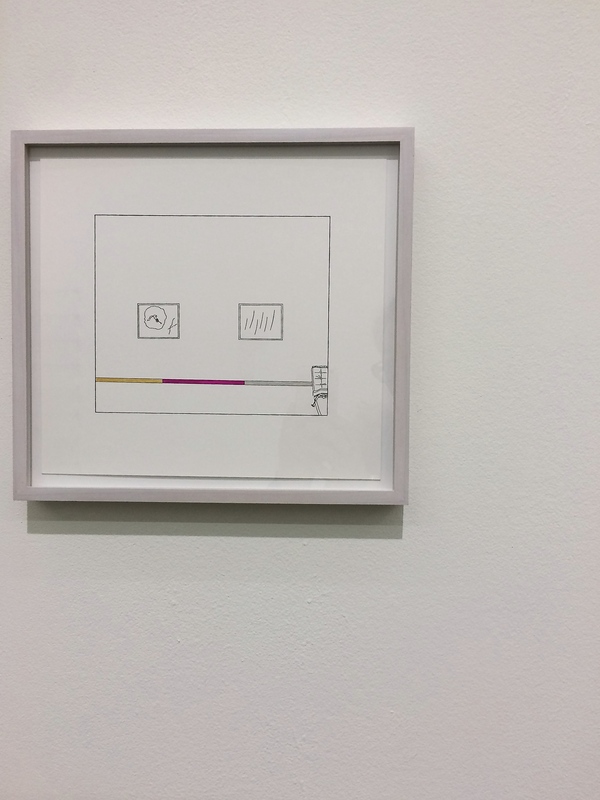 In a smaller room, there were also small scale tracings but this time with color in which I was intimately drawn to the the beauty of the color. The sublime and the beautiful.